You can take it with you: Trailside Guides are designed to be used on the trail. Their handy size makes them easy to take along on outdoor adventures. Picture this: Trailside Guides show you how it's done. Each book has more than 100 color photographs and dozens of informative, full-color technical illustrations you'll refer to again and again. Buying Guide: Each Guide has all the information readers need to make informed decisions about what gear is available, and what they should buy. Step-by-step: Tutorials take readers through every aspect of a given outdoor activity. Each Guide covers planning and preparing for a trip, getting in shape, technique, safety, and first-aid tips, and how to have more fun along the way! Easy to use: Trailside Guides provide information quickly. Every book contains detailed illustrations, information-packed sidebars, and a complete index and bibliography. Technique tips: Any physical activity is more fun when it's done right. 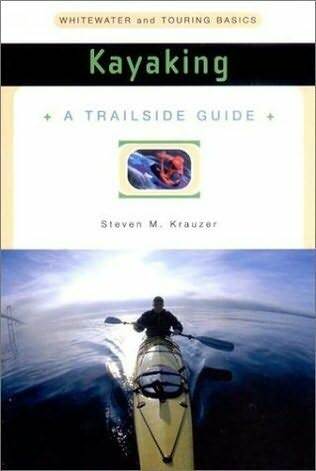 Trailside Guides are written by experts and contain lucid explanations that help the reader quickly achieve proficiency. It's a big world out there. Get into it with the Trailside Guides. Color photographs and drawings throughout.